The 12-14 April rally is the opening round of the Brian Green Property Group New Zealand Rally Championship and, for the first time, also a round of the FIA Asia Pacific Rally Championship. That means competitors will have a two-pass reconnaissance of the rally route which takes in roads to the south of Dunedin on Saturday and north around Palmerston and Oamaru on Sunday. “We are only entered in APRC, not NZRC,” says Paddon, who is the number one seed for the two-day Otago event. “We made the decision to not enter the national championship so we don’t upset points distribution for other drivers as our main focus is the new format of the APRC with two Pacific Cup rounds in New Zealand and two in Australia. “We are targeting the Pacific Cup which also gives us a chance to qualify for the APRC final in China at the end of the year if we choose to do that event. 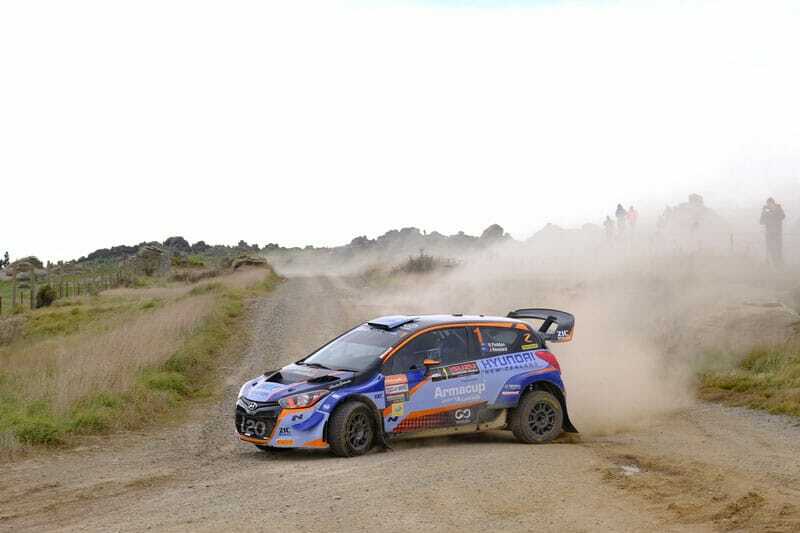 “I’m looking forward to everything about Rally Otago – it’s one of my favourite events – and this year it has the added bonus of a two-pass recce. The event team are a great bunch and the stages are fantastic, fast and technical.